Situational awareness: Dunkin' Donuts is becoming Dunkin'. Fog Creek Software is becoming Glitch. Weight Watchers is becoming WW. As fans of #brevity, we at Axios can't help but approve, even when one of the names sounds like a web address that has been truncated to the point of uselessness. Meanwhile, if this week taught us anything, it's that being brutally attacked by the billionaire co-founder of your most valuable subsidiary will generate bad press but no real damage. Getting sued by the SEC, on the other hand, hurts. The rise of U.S. unilateralism has given new urgency to the perceived need for a world financial order that isn't dominated by America. When China becomes the world's largest economy, will the financial world still be dominated by the dollar, the Treasury and the Fed? Not if China has any say in the matter. Why it matters: Even when the U.S. can credibly claim to have the best interests of the rest of the world at heart, its allies chafe at the global hegemon's hubris and overreach, especially when it uses the architecture of international financial plumbing to advance its own geopolitical agenda. Just this week, the EU, Russia and China agreed to create a separate payments system that would allow businesses in those countries to trade with Iran. 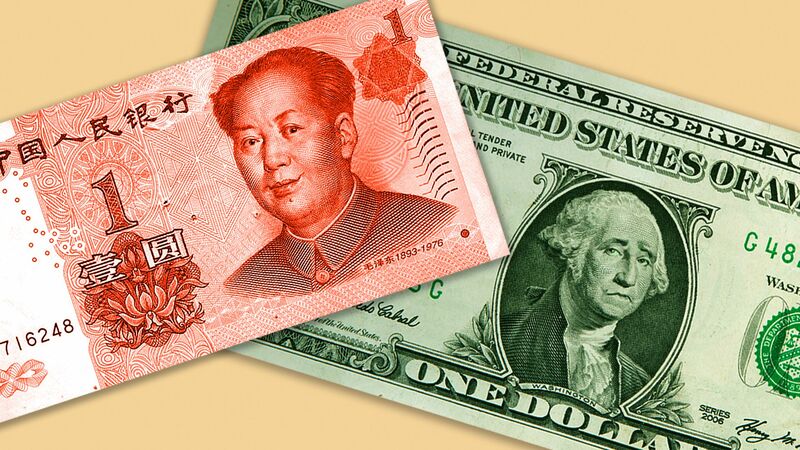 Already, the Chinese yuan is the third largest of the five currencies that make up the SDR, the closest thing the world has to a global monetary yardstick. Come April 2019, Chinese government bonds (CGBs) will similarly be the third-largest component of the Bloomberg Barclays Global Aggregate bond index. CGBs are increasingly proving to be not only attractive investments but also important financial benchmarks, traded on rates desks alongside Bunds, JGBs, and treasuries. CGBs have performed very well this year: While the Citigroup World Government Bond Index has fallen 1.4%, Chinese bonds have rallied, with the yield on the benchmark 10-year CGB falling by about 20 bp. They also have a lot of room to rally further, with the 10-year still trading at a yield of 3.7%. That's extremely high, for a reserve currency: The equivalent numbers in the U.S., Germany and Japan are 3%, 0.5% and 0.1%, respectively. The bottom line: "The ultimate goal," writes Andrew Capon in an excellent guide to the Chinese government bond market in the latest issue of Euromoney, is for CGBs "to supplant U.S. treasuries as the global benchmark." A look at ultra-rich families finds they aren't necessarily looking to maximize their investment returns. Most of them concentrate in whole or in part on simply preserving the capital they already possess. Their main concern: never running out of money. These families are rich: The average family net worth is $1.1 billion, while the average amount of assets managed by each family office is $808 million. These families care a lot about liquidity. On average, they have 7% of their assets in cash. That works out to more than $50 million per family, on average. Even with that large cash allocation, 2017's returns were excellent. Investments rose 15.5% overall, thanks to a great performance from public equities. That was a significant improvement over 2016, when family-office investments rose 7%, and from 2015, when they were basically flat. There's also a lot of new money here: 67% of the family offices were founded in 2000 or later. In some ways, though, they're still old-fashioned: Only 9% of the family office CEOs are women. The asset allocation trends are surprising. Overall, the families invest only 44% of their wealth in stocks and bonds. There are a lot of private investments, in both companies and properties, which might in part explain why private-equity giant Blackstone sees its assets under management reaching $1 trillion by 2026. But public equities are increasingly popular. Their 28% allocation is up 5 percentage points from 2016. Hedge funds have fallen out of favor, with their 5.7% allocation down 3.2 percentage points from 2016. "If you look at hedge funds over the last five to eight years, they offer much lower returns than the rest of the market. The purpose of a hedge fund is to limit your downside risk, but you’re not going to get the upside as well." — Douglas Adams, "The Salmon of Doubt"
Today is NAFTA deadline day, and it's down to the wire. It's the date that a deal supposedly has to be done, with or without Canada. Something's getting sent to Congress, and it's either going to be a bilateral deal with Mexico or it's going to be a full-fledged renegotiated pact including Canada. The details: A deal is reportedly very close, but there's no indication that President Trump has any desire whatsoever to sign a deal with Canada. On the other hand, there's also no indication that there's any appetite in Congress for a bilateral deal with Mexico. If a US-Mexico deal gets sent to Congress today, that's not the end of the line. The deadline just allows the deal to be signed by outgoing Mexican President Enrique Pena Nieto, rather than by his populist successor, Andres Manuel Lopez Obrador. But US-Canada negotiations will continue, in the hope that the final differences between the two sides can be bridged. Worth noting: The lead Canadian negotiator, Minister of Foreign Affairs Chrystia Freeland, is expected to give up her speaking slot at the UN on Monday, where she's angling for a seat on the Security Council, due to (presumptively still ongoing) NAFTA talks. The big question: What happens if a deal with Canada can't be done? Trump wants to cripple the Canadians and kick them out of NAFTA, but he doesn't have fast-track authority to take an action that drastic. He'd need Congress, in other words, including representatives from northern states with deep, long-standing trade ties to Canada. Answers on a postcard please: What's stronger, the supply chains connecting the U.S. and Canada or the apron strings connecting Congressional Republicans to Trump? Elon Musk is a chaos monkey who creates problems more quickly than he can resolve them. A perfect case in point: Hours before signing a settlement to pay the SEC $10 million and step down as chairman of Tesla for two years, Musk changed his mind, precipitating an SEC lawsuit and the destruction of more than $7 billion in wealth as Tesla stock promptly plunged on Friday. So then Musk unchanged his mind, agreeing to pay a $20 million fine and step down as chairman for three years. The punishment is worse than it would have been if Musk had settled on Thursday, but it's still largely a slap on the wrist, and it indeed puts Musk and Tesla on a significantly stronger footing, governance-wise, than they were before Musk's fateful (and very expensive) tweet. Musk still faces many legal threats, but the SEC lawsuit was the most salient for Tesla shareholders. That's because Tesla is still burning through $1 billion a quarter. Investors don't love to lend money to a cashflow-negative company that has never made a profit, is at war with its regulator and already has more than $11 billion in debt. When companies die, it's nearly always because they can't raise money. That, ultimately, is why Musk swallowed his pride and settled with the SEC. He can't afford to be in a fight with the SEC when he inevitably returns to the debt markets to ask for more money. The chart above shows that the Tesla debt window probably hadn't shut completely. Even with Tesla stock at its post-lawsuit low, there was still a huge equity cushion, and in a worst-case scenario, there are any number of companies that would be willing to buy Tesla for much more than the value of its debt. If you lend Tesla money, you're lending against an asset, which is the company itself. And there's always going to be a buyer for Tesla at a price above $11 billion. But stock-price chaos is always reflected in higher borrowing costs, and Musk will surely need to borrow more money in the next year or two, which is the amount of time that the SEC lawsuit would have been hanging over him had he not settled. The most galling part of the settlement, for Musk: He has to hire an "experienced securities lawyer" who will vet his tweets and make sure they comply with independent board oversight of his Twitter activity. The bottom line: Twitter itself never booted Musk off the platform, although there's an argument that it should have. But where Twitter balked, the SEC has now stepped in. Also hitting new record highs: Americans' credit scores. It’s not just stock prices and FICO scores that are hitting record highs. In the first quarter of this year, 403 of the stocks in the S&P 500 delivered earnings higher than Wall Street analysts had forecast — a record that was promptly broken in the second quarter, when 407 stocks achieved that feat. Earnings beats are always more the rule than the exception, even during bear markets. But these levels are unprecedented. The big question: How are so many companies managing to beat expectations, quarter in and quarter out? The strong economy, combined with tax-cut revenues, certainly helps. Companies announce earnings guidance figures they know they can beat, in a sign that they're feeling very little pressure from Wall Street that their profits aren't high enough. The bottom line: Wall Street is enjoying a rare period of being very happy with the companies it invests in and the amount of money they're making. That combination is common, at Sirius XM — one of those companies whose share price bears almost no resemblance to its market capitalization. At its height, in 2000, the stock was trading at $65 per share, giving the company a valuation of $1.87 billion. Today, the value of the company has risen 15-fold, to more than $28 billion, while the stock has fallen by more than 90%, to $6.26 per share. Sirius XM escaped bankruptcy by the skin of its teeth in 2009, when Liberty Media bailed it out. Liberty now owns more than 70% of Sirius XM, whose shares were trading hands for just 6 cents each in February 2009. A similar disconnect between valuation and share price can be seen with Pandora, which IPOed in 2011 at $16 per share. Back then, that gave the company a value of $2.6 billion. The Sirius XM deal is a 35% premium to the IPO in terms of market capitalization, but the acquisition price of $9.10 (based on Friday's closing price for Sirius shares) is a 43% discount to where Pandora went public. Only 19% of CEOs in the defense industry are women. But that's a much better showing than the S&P 1500 as a whole, where the figure is 5%. That's maybe how Lockheed Martin's Marillyn Hewson ended up on the top of Fortune’s 2018 Most Powerful Women list. As predicted last week, Fox (aka Disney) is selling its minority stake in Sky to Comcast. Think of this as media giants carving up the Murdoch world: Disney gets India, via Fox's Star India, while Comcast gets Europe. Rupert's famous tweet wasn't false, it was just early! Murdoch and his sons earned $150.2 million last year in salary, bonuses and other awards, a 114% raise from the previous year. The jobs report is released on Friday. Expect the government to announce that 185,000 new jobs were created in September, with the unemployment rate ticking down to 3.8%. The margin of error on the jobs number is very large — if 185,000 jobs were genuinely created in September, then the best we'll be able to say with 95% confidence is that it's somewhere between 70,000 and 300,000. 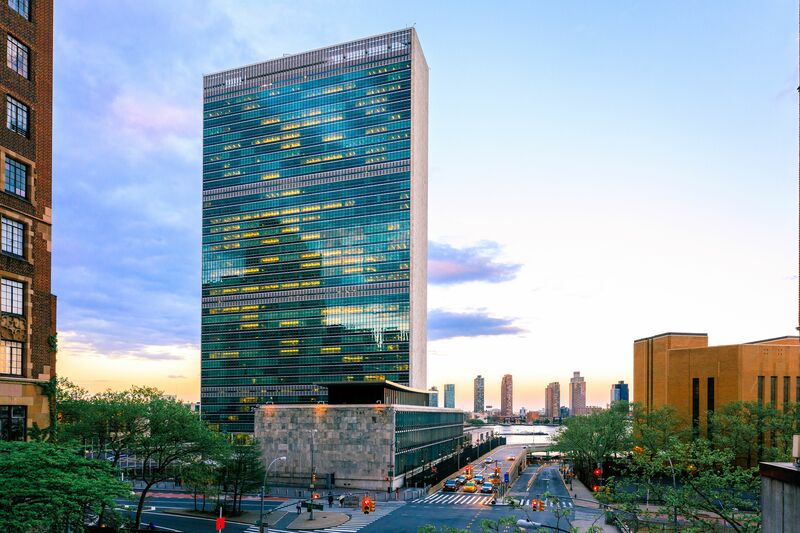 The United Nations Secretariat Building, a collaboration between Brazil's Oscar Niemeyer, Switzerland's Le Corbusier and many others, is a symbol of what can be achieved with international cooperation. The first major International Style building in New York, it was completed in 1952. The 18-acre site, donated to the UN by John D. Rockefeller, Jr, is technically international territory, which means that New York State has a hole in the middle.